As well as working with the national government, SuNMaP worked across 10 states. This, in total, represents coverage of about 40 percent of Nigeria's population. The programme began in 2008 by working in Anambra, Kano and Lagos later added implementation in Niger, Katsina and Ogun in 2011. 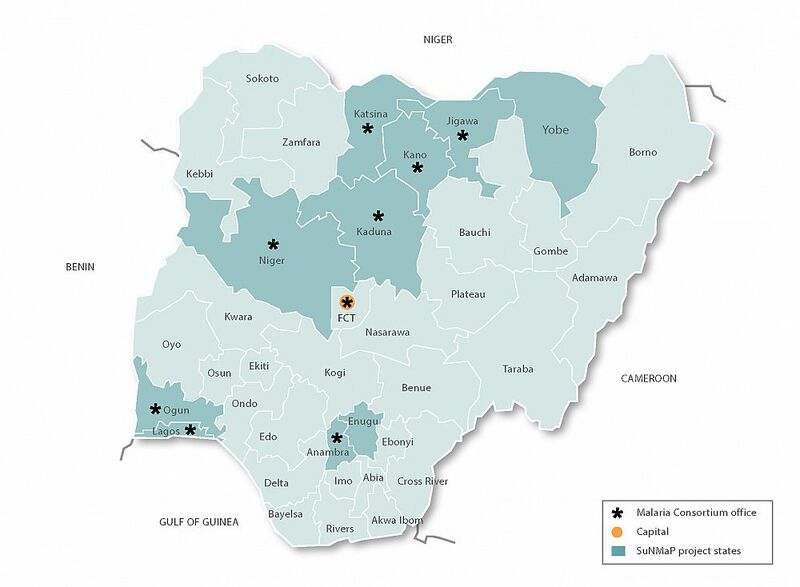 Expansion to an additional four states – Jigawa, Enugu, Kaduna and Yobe began in 2012. Each of these states has a unique cultural identity and context. As a result, SuNMaP’s approach was to adapt its work and strategy without compromise to quality to the context of each state in order to have the greatest impact.